The white salt plain of Lake Ballard creates a dramatic setting for the largest outdoor art gallery on Earth. This extraordinary natural landscape was selected by world-renowned artist Antony Gormley to display his Inside Australia exhibit, a collection of 51 individually cast black chromium steel sculptures, stretching across 10 square kilometres. You can reach Lake Ballard by car in one hour and 45 minutes from Kalgoorlie or in 45 minutes from Menzies. 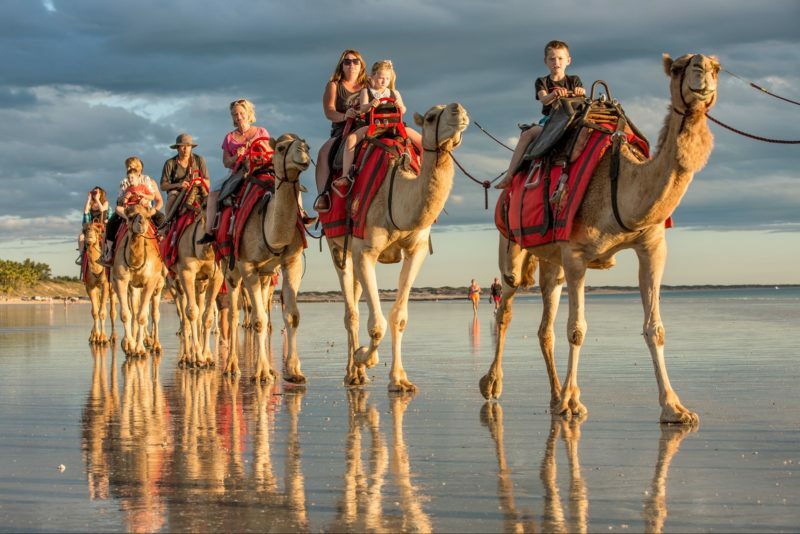 Day Tours are also available from Kalgoorlie. Each sculpture represents a local resident of Menzies. For a fantastic overview, climb the hill and see the sculptures disappearing into the distance, each connected by the footprints of visitors. The exhibit forms part of the self-drive Golden Quest Discovery Trail, which takes in eerie gold rush ghost towns, historical gold mining sites and the former home of US President Herbert Hoover in Gwalia. 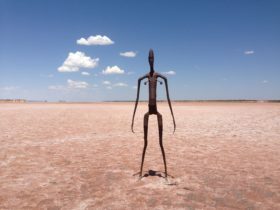 The best times to visit are early morning or late afternoon, when the sculptures’ shadows stretch across Lake Ballard. Allow at least two hours (it will take considerably longer to view all 51 sculptures as they are spaced 500 metres apart), always walk with a friend, and carry water as the heat can be extreme during summer.